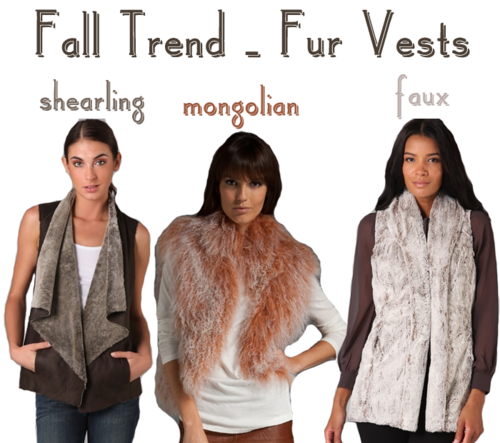 I’ve been seeing quite a few fur vests in various shapes and colors in the incoming fall collections and we are head over heels for it! Here are my favorites! ps: Vince has some other amazingly luxurious outerwear pieces that you must check out.